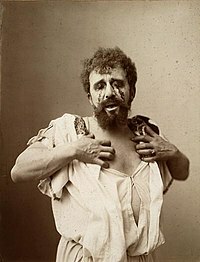 Albert Greiner as Oedipus in 1896.
moie moral, than the ancients. We of the present day have nearly succeeded in forgetting that an indissoluble common bond binds us to the people of antiquity With this truth a path is opened to the understanding of the ancient mind; an understanding which so far has not existed, and, on one side, leads to an inner sympathy, and, on the other side, to an intellectual comprehension. Through buried strata of the individual soul we come indirectly into possession of the living mind of the ancient culture, and, just precisely through that, do we win that stable point of view outside our own culture, from which, for the first time, an objective understanding of their mechanisms would be possible. At least that is the hope which we get from the rediscovery of the Oedipus problem. 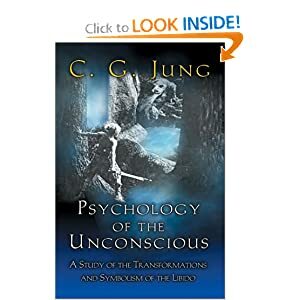 analogy prevails especially in symbolism, as Riklin, Rank, Maeder, and Abraham have pointed out with illuminating examples; it is also shown in the individual mechanisms of unconscious work, that is to say in repression, condensation, etc , as Abraham explicitly shows. of individual psychology might be won.